A lot of people don’t like to store credentials in mobile apps or browsers. A good workaround is the usage of OAuth 2.0 tokens, but the application needs to support it and the server you’re talking to too. 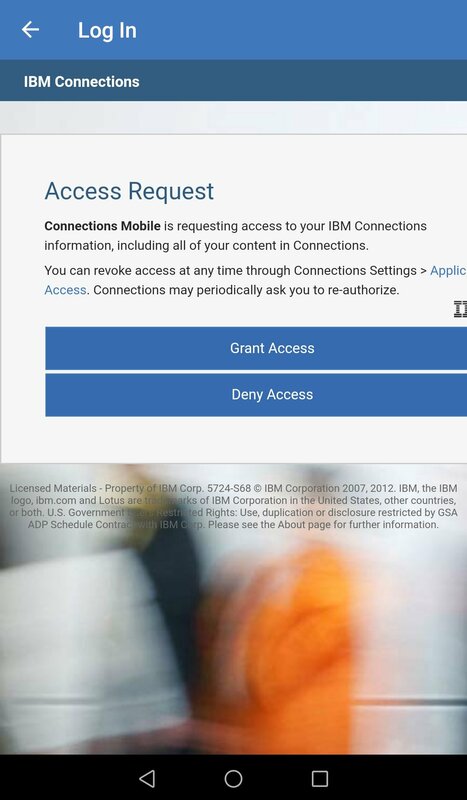 The IBM Connections Mobile App can use it for authentication. OAauth2 can be used directly with WebSphere Application Server and Connections 6.0. There are no special OAuth servers or applications needed! 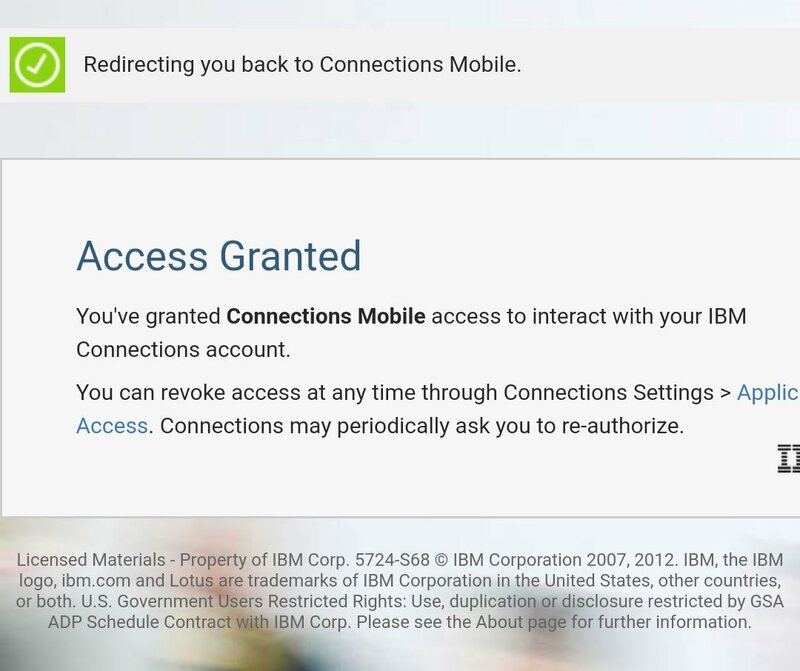 The Documentation at IBM was a little bit confusing for me, there are lots of sidenotes, but you just need to do following steps, to use OAuth 2.0 token-based authentication with the IBM Connections Mobile App. 1 Default is false here! The Documentation tells you to restart all Application Servers now. I would wait until you finished the mobile-config.xml changes. When you sync the nodes and restart your application servers, the setting is immediately activated! 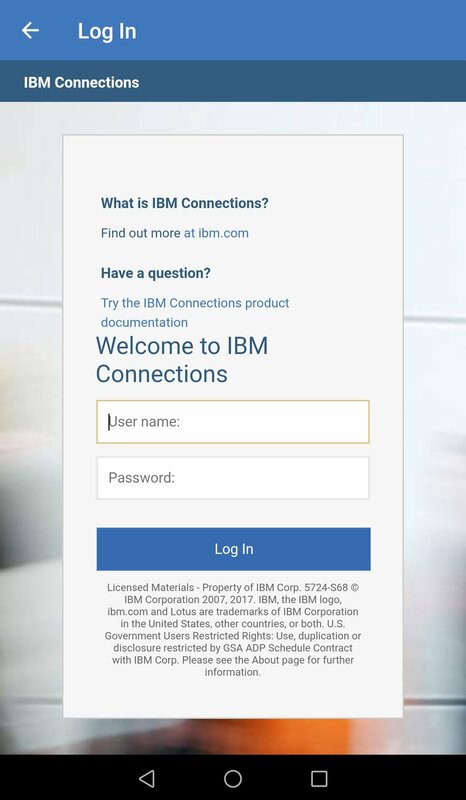 So users already use the Connections Mobile app (with saved credentials) are logged out and need to reauthenticate in the web form for OAuth! Now the user needs to Grant the Access to the system. I tested in a VPN environment and got messages that no profile can be found for my credentials, but reload always showed the content. I think this needs to be tested a little bit more!